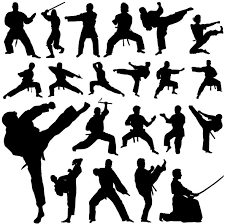 There are heaps and heaps of different martial arts out there. There are of course the traditional ones like karate, kung fu and judo. Then there are the more contemporary martial arts like Krav Maga and BJJ which have become more popular in the past few years. Whatever your martial art style one thing is for certain. Your need jigsaw mats in your training area. Whatever you call them jigsaw mats are a necessity for any martial arts school. Martial arts training is often vigorous and requires some protection from impact with the floor. Although jigsaw mats can not prevent you from any and all injuries they may be helpful in reducing the impact. Indeed martial arts mats are a necessity for every martial arts school. If you take your martial arts seriously and want your student to be protected then you need to consider jigsaw mats.